Music is good for the soul, that’s for sure. If you happen to be someone who appreciates this beautiful form of art with all its genres, then this is the read for you. You can enjoy music in your car, at the office, or even in the shower, but it’s even better when you hear it live! I am personally a sucker for live music; an Irish bar and a decent cover band, that’s something I highly appreciate. But you know what I’d really kill for? A music festival with an exceptional lineup! You’re probably now thinking about international festivals as the likes of Coachella, Tomorrowland, Sziget, and Lollapalooza. Most importantly, you’re definitely worrying about which kidney you’ll have to sell to be able to afford the trip overseas. We know these could be on your bucket list, and we understand, but until you’re as rich as Dan Bilzerian, you can still enjoy lit festivals in the MENA region instead. There are lots of to kill for music festivals, with international standards, being held in the Arab world every year. Here are nine events you should keep an eye on this year. RedFest is one of Dubai’s most awaited music events of the year. The festival that first kickstarted back in 2013, takes place at the Dubai Media City Amphitheatre every year during the month of February, this year on the 14th and 15th. 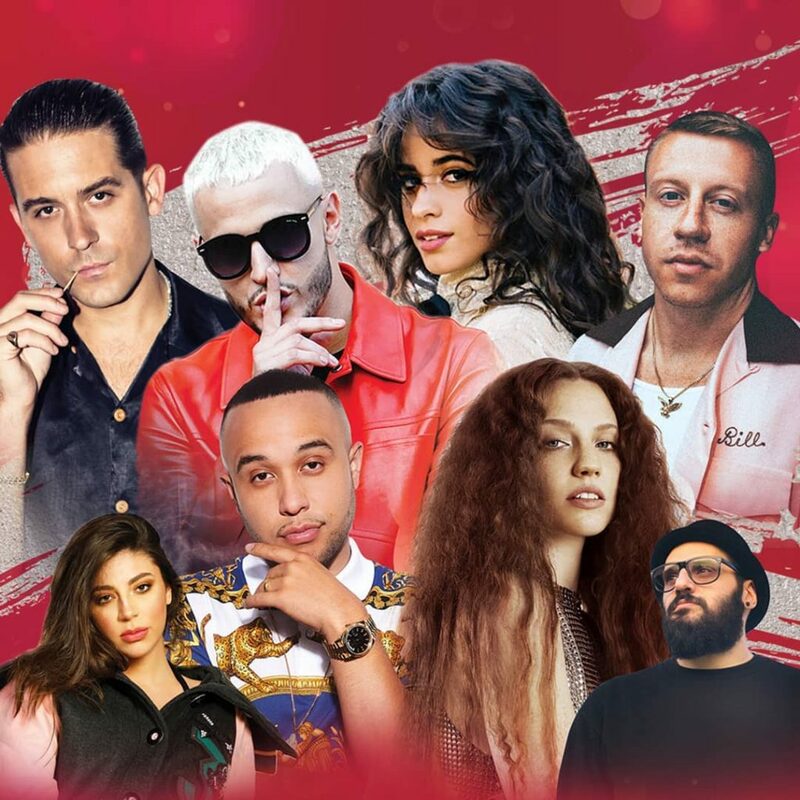 Last December, RedFest revealed one hell of a lineup that includes Superstars Camila Cabello, Macklemore, DJ Snake, and more! Tickets’ prices start at AED 395; for booking, click here. It seems like February comes with lots of energy in Dubai as only five days later the renowned Dubai Jazz Festival starts! Also taking place at the Dubai Media Amphitheatre, the event will take place from the 20th till the 22nd with Alicia Keys, Snow Patrol, and Jamiroquai as headliners. Ticket prices start from AED 350; for booking, click here. 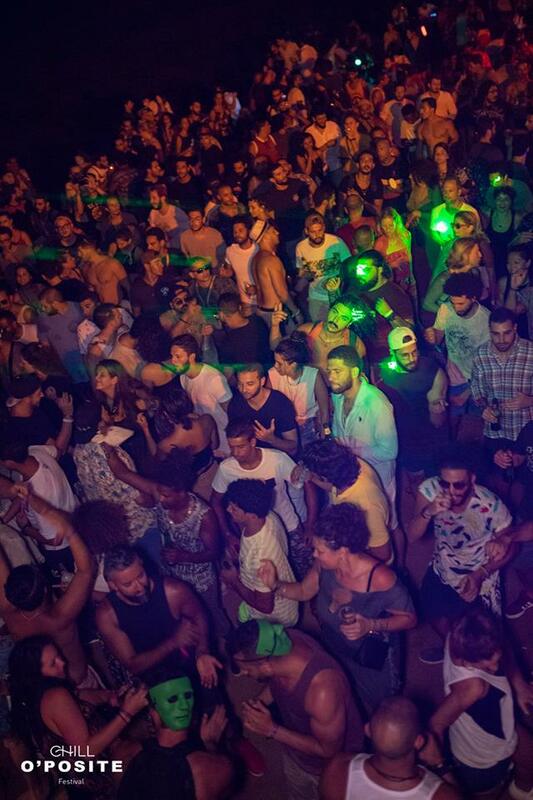 Powered by Egypt’s party scene favorite, Nacelle, Sandbox arrives right on time to welcome the summer with arms wide open. 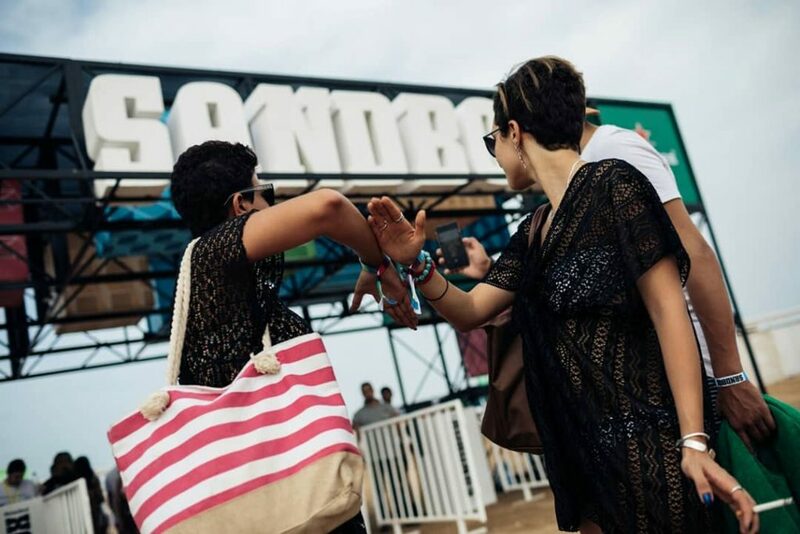 Taking place at none other than the vibrant Red Sea haven, El Gouna, Sandbox will run from the 13th to the 15th of June. Lineup and ticket details aren’t released yet, however, the festival announced that these will soon be revealed. So better keep an eye out if you’re a sucker for EDM! For the past 17 years, Mawazine has been bringing the best of the music scene. This year, its 18th edition will take place from the 21st to the 29th of June, however, the lineup still hasn’t been announced. Chilled laid back vibes? Sinai, it is! And when it comes to music, there’s no better festival than Chill O’Posite, that’s for sure! Artists are still to be announced, however, ticket sales will start as of the 7th of February! Apply here if you’d like to get notified when the sale starts. The festival takes place from the 13th to the 15th of August, they’ll even help you out with accommodation and transportation, or travel procedures if you’re coming from outside of Egypt. Even though Almaza’s last year’s hit music festival doesn’t have an official extistence on Facebook, we’ve got some inside intel that Shorelines is going to hit the beach this summer, 2019! After last year’s major success and headliners, Angus and Julia Stone, we can’t wait to see what they have for us this year! 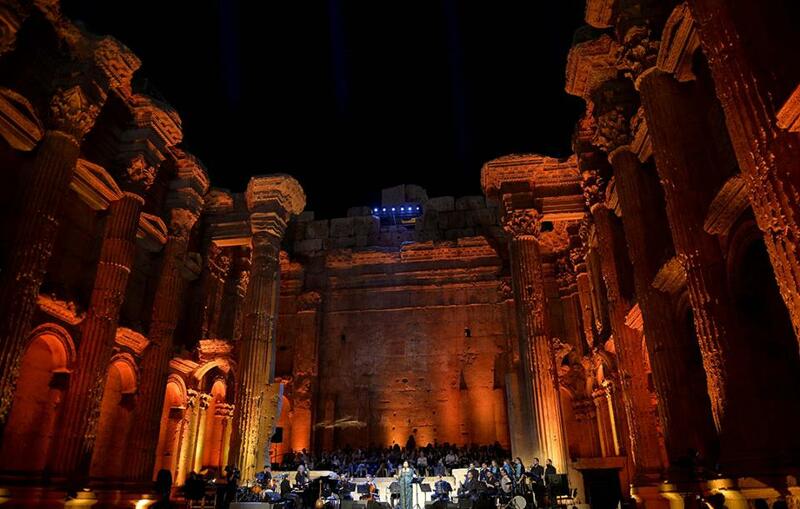 Taking place since 1956, Baalbeck International Festival is one of the oldest festivals in the Arab world. Every year around the time of July or August, the historic Roman Acropolis witnesses a fusion of genres echoing through the ancient ruins. As you kiss summer goodbye and welcoming the chilly winter vibes, there’s nothing better than enjoying some live jazz music. The annually anticipated Cairo Jazz Festival takes place every October. Last year, Hisham Kharma gave a sensational performance; we can’t wait to see what this year holds for us! 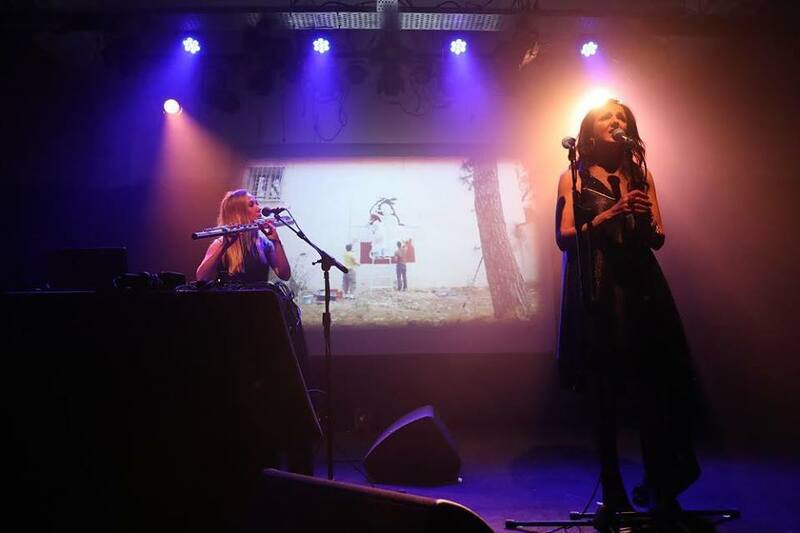 Taking place every December since 2013, Beirut and Beyond is one of the most integral music events, not just in Lebanon, but in the entire region. Last month’s lineup included A-listers such as Lekhfa and Tania Saleh.